ROME – Municipal officials who can’t afford to pay for the upfront costs of converting to LED street lighting could consider no-money-down alternative schemes in which they pay via yearly installments out of their energy savings – but they should be aware that such arrangements can be tricky. 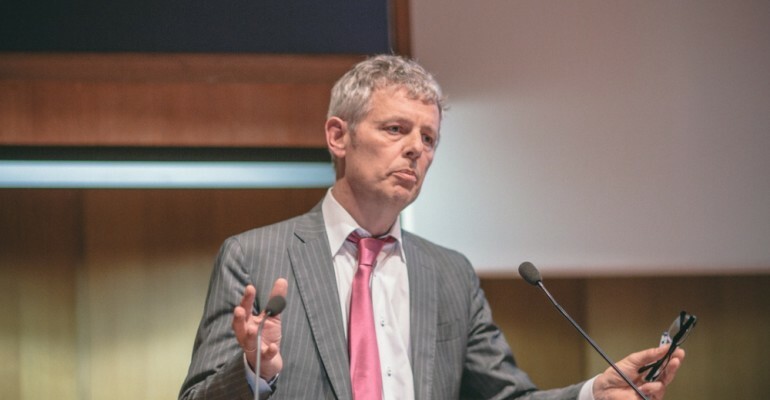 So cautioned energy specialist Quirin Sluijs from the European Investment Bank (EIB), speaking at the European Commission’s conference on LED Lighting for Sustainable Smart Cities in October. Sluijs advised any regional or local authority that has the budget for converting to LED street lighting to ‘just do it,’ because the energy savings compared to conventional lighting are substantial and because LED lighting can help develop smart cities. Those that don’t have the money to pay for the substantial upfront capital costs could turn to ‘ESCO’ (Energy Service Company) arrangements in which the locality takes ownership of the lighting assets but pays for them out of yearly energy savings, Sluijs said. He warned, however, that, ‘Many questions come up with ESCOs,’ because the business model is ‘not so clear’ and there are ‘different ways’ to structure them. Financing: An energy service company itself might have to borrow money for upfront costs, so how does the cost of a loan get folded into the yearly payments? Electricity supply and price: ESCOs may or may not include electricity supply. Also, the price of electricity is bound to change over the course of a multi-year contract. Will payments be tied into energy efficiency improvements only, or will they also factor in any fluctuating electricity prices? Baseline and metrics: It’s important to establish a starting point against which to measure improvements, and to agree on metrics for monitoring progress. Debt: Some localities are forbidden from taking on additional debt, so is the ESCO structured in a way that conforms with this? Sluijs also cautioned that ESCOs present localities with a ‘new culture’ that departs from traditional purchase practices. Thus, the two parties ‘have to start to understand each other,’ he noted. The EIB, which is a nonprofit group owned by European Union member states, can assist localities in working out ESCOs, Sluijs said. The ESCO concept has existed in building management for many years, but is relatively new to public street lighting, with the recent advent of LEDs. One city that is financing LED street lighting through an ESCO is Torino, which has partnered with Italian utility Iren as its partner, Iren president Francesco Profumo told the conference. Different cities in India are also attempting it, although one city, Thiruvananthapuram, has had difficulties implementing its plan – perhaps proving Sluijs’ warning that shared savings deals can be tricky to consummate.